All coupons valid until April 30th, 2019. If you are dealing with problems such as increasing water bills or low water volumes, it may be a good time to call the professionals at Brothers Plumbing. 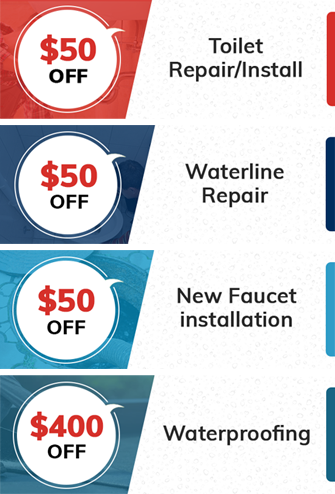 We provide excellent plumbing services at competitive prices, and we also offer great deals to help you save even more. We also offer senior discounts, no extra charges for weekends, nights or holidays. Also ask us about possible government grants that may apply to any services you require. When you choose Brothers Plumbing, there will never be hidden charges. You will know the price before we start the work, and all projects come with a 100% satisfaction guarantee.